Bones discovered last year have been identified as the remains of a woman who disappeared in 2012 after giving birth in a Santa Cruz maternity ward, Santa Cruz County sheriff's officials said Friday afternoon. Chuck Coppola reports. Bones discovered last year have been identified as the remains of a woman who disappeared in 2012 after giving birth in a Santa Cruz maternity ward, Santa Cruz County sheriff's officials said Friday afternoon. Santa Cruz resident Jeanette Susan Herum, who was 29 at the time, walked out of the Sutter Maternity and Surgery Center on Nov. 22, 2012, leaving her newborn son in the care of the hospital. Last year, a couple found Herum's bones while out on a walk and notified the sheriff's office, officials said. Herum's disappearance and death have baffled authorities, and an investigation remains ongoing. 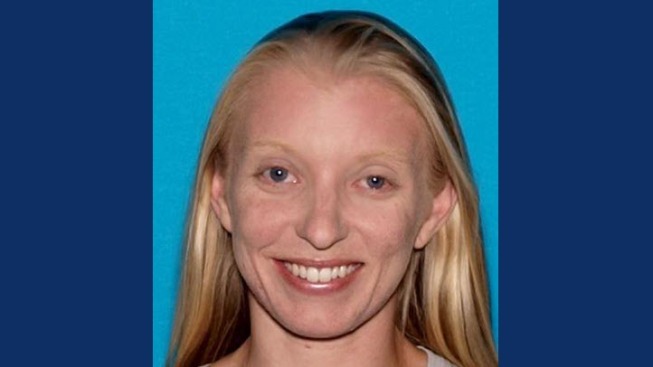 "Ms. Herum is 29 years old," Chris Clark with the Santa Cruz County Sheriff's Department said. "29-year-old people generally don't just pass away." Herum was not reported missing until 2014 because she had a history of going long periods without contacting her family, sheriff's officials said. The woman did not have any medical conditions that would have placed her at risk and was classified by sheriff's investigators as a voluntarily missing adult, Santa Cruz County sheriff's Lt. Kelly Kent said. Herum's son was living with his father's parents as of 2015. According to the sheriff's office, Herum's parents died before her remains were found. Sheriff's officials are investigating the suspicious circumstances of her disappearance and death and have asked anyone with information about the case to call (831) 454-7635. "We're hoping that someone may tell us, 'Hey, yeah, we saw Ms. Herum in and around this area,'" Clark said. "And we might be able to match that up with what information we know which could then tell us again whether or not this information is credible."